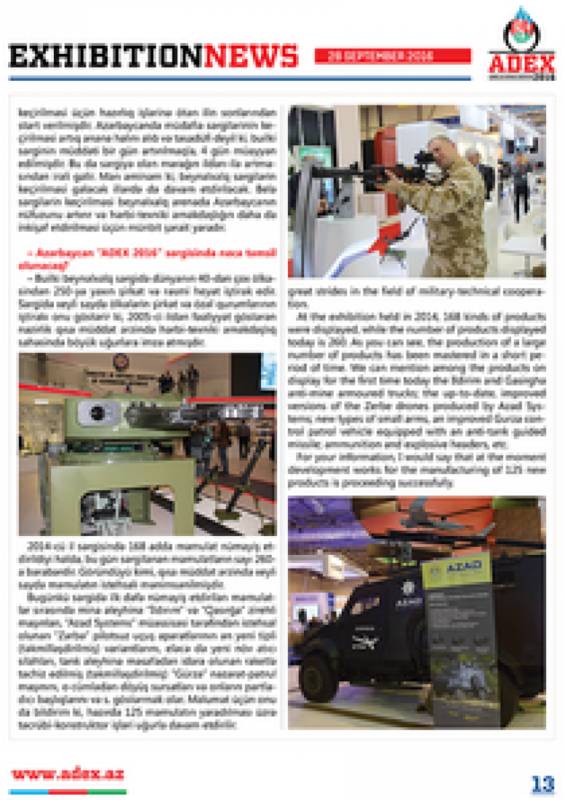 Official Daily News of the ADEX exhibition is a unique printed and digital media outlet for publishing brief progress reports on the exhibition; it also contains information about the latest technologies and developments, including news from participating companies, expert reviews on different sectors of the military-industrial complex, interviews with leading industry experts and desk reviews of the national market for security systems. Daily News presents a unique opportunity for exhibiting companies and participants in absentia to more closely interact with customers, while reaching a wider audience to inform about the products and services both during and after the exhibition. Daily News of the ADEX exhibition is distributed to all the exhibitors and visitors at the event; it is available at the stands of participants and at the registration desk, while it is also distributed among a number of dignitaries and officials. At the same time, the newspaper is produced electronically and e-mailed to the industry specialists. During the exhibition days, the newspaper is published in .pdf format on the official website of the exhibition and is saved until the next ADEX exhibition. 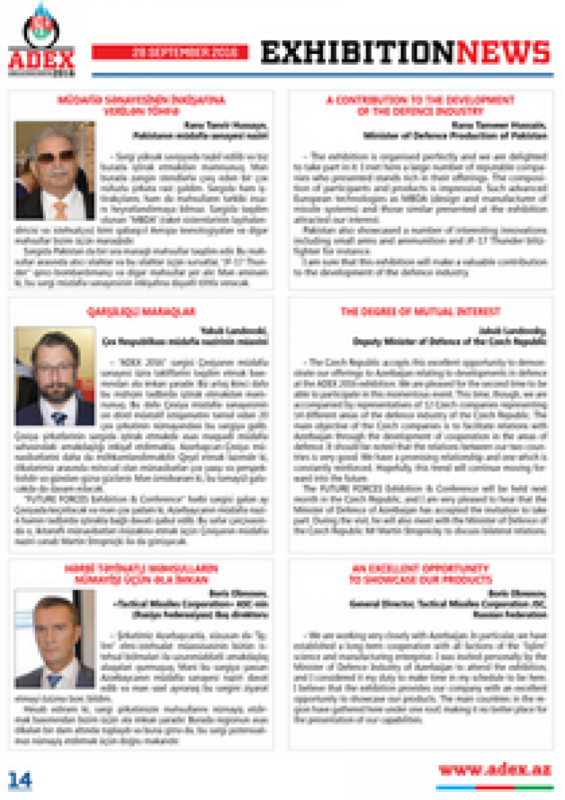 Moreover, the newspaper is also distributed at trade exhibitions abroad.